Jeju never used to be considered as a prime location for hosting poker events, but with global tours looking for exotic locations across Asia, places like Sanya, Cebu, Sihanoukville, and others, are becoming trendy locations. Jeju is certainly one of the most beautiful places in Asia, with pristine beaches, waterfalls, and a dormant volcano. An increasing number of poker tournaments have been held in this location lately, and casino numbers are also on the rise. There are geographical positives to consider too, as Japan and China are by no means relaxed towards gambling, and are a relatively short distance away from Korea. Furthermore, Asian tourists do not require a visa to travel to Jeju. All of these facts help to support the growing claim of Jeju, as one of the best Asian poker locations. January 24th to the 29th will see an exciting new set of events arrive on Jeju shores, in the form of the Korea Poker Tour. This will begin with a Warm Up Event, costing KRW330,000 ($283). The Main Event will feature a KRW1,000,000 buy in ($858) with day 1a starting on January 11th, and day 1b kicking off the following day. There will be a KRW330,000 ($286) Turbo Event, and a 550,000 ($472) Bounty Event on those two days also. The second day of the Main Event will run alongside an eagerly awaited KRW3,300,000 High Roller Event ($2,830) on January 13th, with a Deep Stack and Freeze out event helping to round off the series on January 24th and 29th. The final two events will have buy ins of KRW550,000 ($472) and KRW330,000 ($286) respectively. 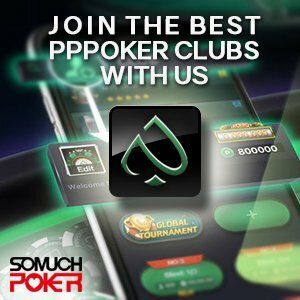 South Korea has a bright future as a top location for hosting poker events, and is part of a wider growing interest in poker across Asia. With WPT National due to begin any day now, you would have to say that if they clear their predicted figure of 300 entries, they will be make themselves an attractive proposition for other global tours.